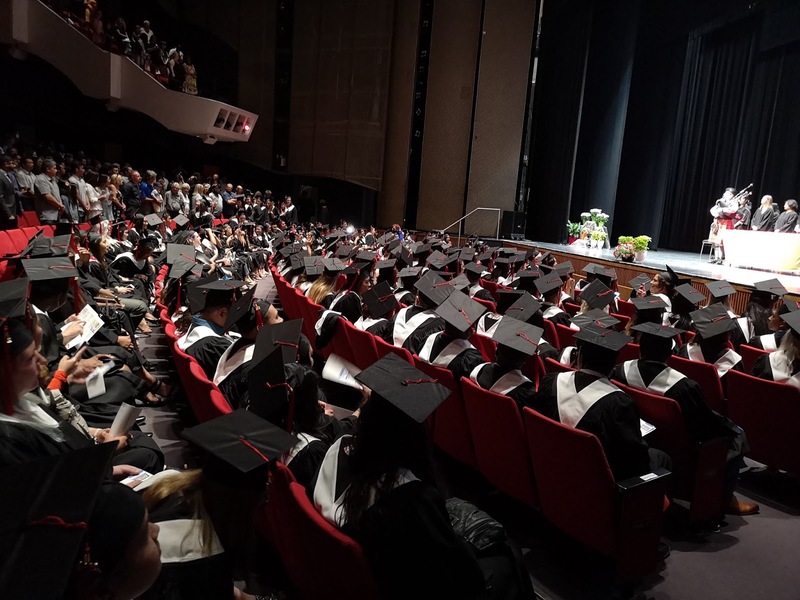 More than 1,000 excited Robertson College students and family members gathered at Winnipeg’s Centennial Concert Hall today to celebrate the hard work and dedication of the graduating class of 2018. It’s the 117th graduation ceremony held since the College was first established by Mrs. M. I. Robertson as a business school back in 1911. Since then, it’s become one of Manitoba’s leading private educational post-secondary institutions, offering courses in Business, Health Care and Information Technology. Robertson also has campuses in Calgary and Edmonton as well as a very extensive online campus. For a majority of the grads, it’s not only an accomplishment, but a milestone. 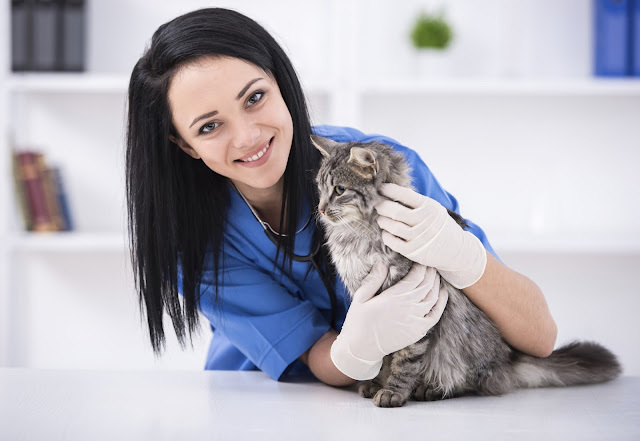 The focused and practical training at the College offers students the unique opportunity to be in a new career in as little as a year. The college also has one of the highest employment rates, with 89% finding work in their field within six months. The ceremony kicked off with a stirring address by Kathy Knight, CEO of the Information and Communications Technologies Association of Manitoba (ICTAM), followed by Mayor Brian Bowman’s video message to the students. As the ceremony drew to a close, students turned their tassels to mark the beginning of the next step in their new profession and life journey. “It was a truly exciting day for both staff and students. We’re proud of our graduating class and their determination to build a better life for themselves. It’s never an easy road, but they persevered. As educators, we really can’t ask for more,” noted Keith McConnell, Vice President, Education & Student Experience, Robertson College. Gabriel Duarte Lopez, a student in the Community Support Worker program at Robertson College, has been awarded the first-ever Tara Ann Roe Memorial Scholarship. The scholarship awards up to $15,000 to an inspiring current or future student of the Community Support Worker Program at Robertson College Calgary. Gabriel's parents emigrated from El Salvador to Canada when he was young. With his parents having to work multiple jobs to support the family, there was little time left over to help their children adjust and progress in their adopted country. Gabriel's interest in community support work sparked when he saw members of his own family struggle with illness and addiction. The experience motivated Lopez to look for a way to contribute to safer and healthier communities in support of people overcoming similar challenges. "I remember feeling uncertain and scared about what was happening around me. We were struggling to support ourselves but we were doing our best. I wanted to see things improve for us. That's when I started to think about what I wanted to do with my life," says Gabriel. The Tara Ann Roe Scholarship was established by Robertson College to honour community champion Tara Roe, who was one of the 58 people who tragically lost their lives on October 1, 2017, in Las Vegas, Nevada. Tara is remembered as a remarkable human being who was known for always putting the needs of others before her own. She was a dedicated and caring teacher's assistant for children with autism and often volunteered at community events. "Tara led an extraordinary life. Her desire to give back to the community has touched us all. This scholarship is our way of keeping her legacy alive while giving back to the community. 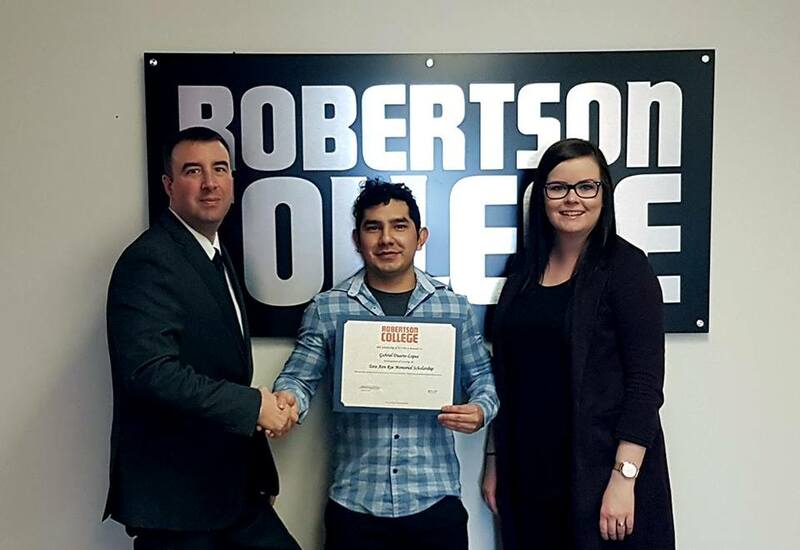 Robertson College is pleased to recognize Tara's legacy while also helping a young man give back to his community with newly learned skills," notes Dean Olsen, Campus Director, Robertson College Calgary. Growing up, Gabriel may not have been equipped with the knowledge or maturity to help his family deal with their personal struggles but now he feels confident that his education will equip him with the knowledge and skills needed to assist families facing similar hurdles. As his time at Robertson College draws to a close, Gabriel is already looking forward to the day when he can start helping others in his new career. "With the knowledge and training that I received from Robertson, I feel that I have the ability and the skills to positively impact someone's life, just as Tara did. I hope to make a difference in people's lives." At Robertson College, we offer over 15 business programs, available in class and online, that you can complete in less than a year! According to Randstad, there are currently 1.8 million office and administrative professionals working in Canada - and that number keeps growing. The latest census shows that there was an increase of 4,270 new administrative jobs in the sector, which is a sure sign that office staff are needed now more than ever. Accounting Payroll Administrators and Administrative Professionals alike need to stay on top of industry trends. 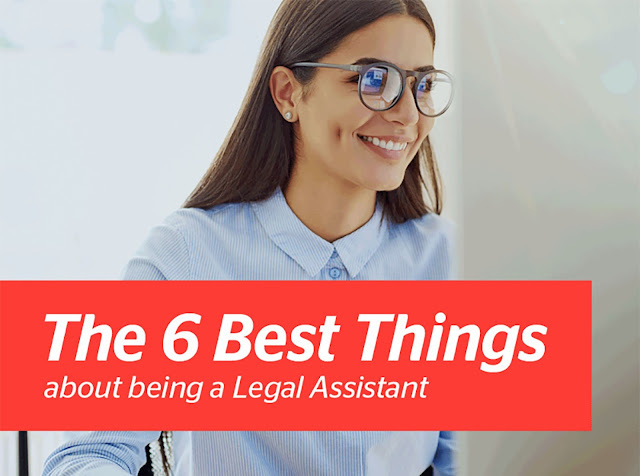 Being tech savvy gives you an advantage, and knowing Trends in the Administrative Field gives you an edge. But, being knowledgeable about the accounting sector as a whole can make or break you when seeking employment. If these links peak your interest, a career as an Accounting and Payroll Administrator or Administrative Professional might be right for you. Programs are starting soon, contact us for more information. Source: Randstad "Best Office and Admin Jobs in 2018"